Malo was and still is a west coast Latin rock band. Jorge Santana, the brother of Carlos, Rich Bean, and Arcelio Garcia Jr. founded the seven piece band during the very early seventies. They issued four albums for the Warner Brothers label, 1971-1974, before disbanding. They reformed in 1981 and continue to perform. They released seven singles during their prime and those 14 sides have been gathered together to form Latin Bugaloo: The Warner Bros. Singles. Malo was a structured jam band. They would establish a vibe and allow the various band members to create within the structure. Their studio albums were tight affairs that stayed within their Latin rock vision. The brass section added an extra element and gave their sound a fuller feel. Their single releases give a glimpse of the band. Most of their studio songs were extended affairs and not usable as single releases. Therefore, the chosen tracks were edited down to manageable lengths, fit for AM radio of the day. If you want to experience their original sound andintent, any of their early albums is the place to go. “Suavecito” was their most successful single and is considered a Latin national anthem. Santana’s guitar on top of the rhythm section form the connector to their Latin roots. The brass help to make the sound unlike most of what was being released in the early 1970’s. The song is one of those releases that helped to establish the era by taking basic rock and roll and then moving it in a different direction. Songs such as “Nena,” “Midnight Thoughts,” “Merengue.” and “Think About Love” span their four early albums and help chronicle their career, plus show their growth as a band. The album also clears up the lost single Just Say Goodbye/Pana. Always listed as a single release by the label, no copies were known to exist. It seems the single was only issued in Turkey, so it is included here. 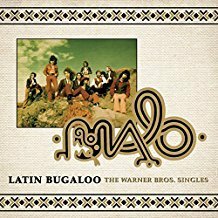 Latin Bugaloo: The Warner Bros. Singles is a re-visit to a band that approached 1970s rock from a unique perspective. If you want something a little different from this time period, then Malo may be a band for you. 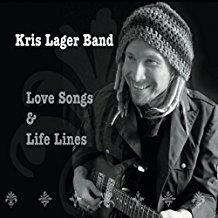 Kris Lager is a journeyman musician, who has been on the road and in the studio for the last 15 years. His new album, Love Songs & Life Lines is more structured than his previous releases. Tighter structures and melodies replace the jamming approach of his previous albums. The allows the lyrics to be front and center. The passing of his father has moved him to create lyrics that deal with life, hence the title of the album. Lager is one of the best guitarists you may have never heard and he has a voice to match. His band includes drummer Scooby Sha Bo Bo, bassist Aaron Underwood, and sax player deluxe Lefever. They produce a high energy rock and blues fusion that not only entertains but makes you feel good. The Kris Lager band is a group that deserves more commercial success. Love Songs & Life Lines is an excellent release by a hard working band practicing their craft. Highly recommended! 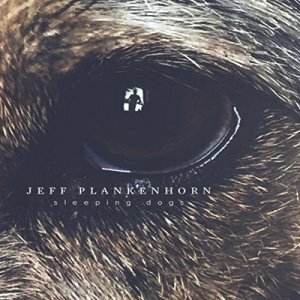 Jeff Plankenhorn is a multi-instrumentalist and master inventor of the “the Plank,” which is a combination steel guitar and dobro. His last album centered around the Plant. Now with the release of Sleeping Dogs,” moves is a number of different directions. While his home-made instrument makes a few appearances; he also plays a number of instruments while crafting a number of very listenable songs. While Plankenhorn is grounded in the blues; albeit the greasy region of the south. “Tooth And Nail” is emblematic of this style. It features kindred spirit Ray Wylie Hubbard on guitar, vocals, and as co-writer. “Holy Lightning” is more sedate, while “Further To Fall” and “Heaven On Earth” explore his connection and affinity to nature. Through it all he exhibits a fine expertise on the guitar. Sleeping Dogs continues his recent journey from sideman to solo artist. Moving away from just focusing on one instrument provides him with the room to explore a number of styles. It is hoped that this is just the beginning of his adventure. Music evokes a number of emotions. Steven Troch’s music makes you smile, while always being interesting. He has just released his latest album titled Rhymes For Simple Minds. Troch is a harpist/vocalist from Belgium. His music meanders in a number of directions but is grounded in the blues (more or less). He fronts a no-nonsense basic band of guitarist Steven Van Der Nat, bassist Liesbeth Sprangers, and drummer Eric Heirman. At times he adds keyboards and a full brass section, which amps up the voltage considerably. The music is upbeat and the vocals smooth. Van Der Nat is an excellent guitarist and a good foil for Troch’s harmonica work. The lyrics create a cast of interesting characters who live and look at life from various and odd perspectives and are central to his approach. 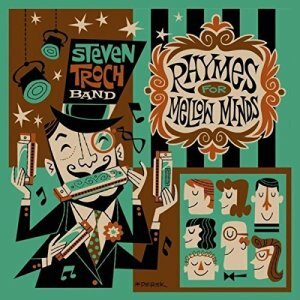 The Steven Troch Band has created a pleasing album, especially for people with mellow minds. 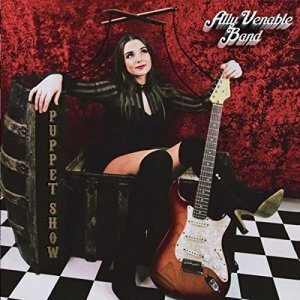 The young Queen of the East Texas blues has returned with a new album titled Puppet Show. At the age of 19, she is a seasoned veteran of the Texas blues scene. While in high school she released several well received blues albums, became a staple on the local blues club circuit, and her group has been named the East Texas Blues Band of the year three times. Venable is a work in progress. Her voice is soulful and powerful and has always been her strength. Now her guitar ability and songwriting skills have improved considerably since her last release. Her basic sound is modern electric blues bordering on rock and roll at times. While she uses a seasoned second guitarist on two tracks, she is at her best when it is just her backing band of drummer Elijah Owings and bassist Bobby Wallace with an occasional keyboardist or harmonica player added for a fuller sound. 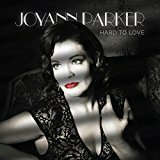 The album consists of 8 original songs and covers of two classic blues songs. She has learned the craft of creating memorable melodies within a blues format. Songs such as “Bridges To Burn,” “Cast Their Stones,” “Sleeping Through The Storm,” and “Puppet Show” are powerful guitar tunes and when you combine them with incisive and insightful lyrics, they represent what the modern blues should be like. Venable is just at the beginning of her blues journey. Puppet Show ia not only a fine introduction to her music but is a personal jumping off place as she hones her approach. In cosmic terms, 17 years is the blink of an eye but in the life of a musician, it can be a lifetime. Kid Ramos has just released his first album in 17 years. During that time period he has raised a family and fought off a cancer attack. Old School represents his return to the blues. His approach is straight forward and fairly simple. His rhythm section lays down the rhythms and Ramos riffs over them. The opening track, “Kid’s Jump (Tribute To B.B. )” is an excellent example of his approach. While Ramos is a vocalist, he has blues singers Johnny Tucker, Kim Wilson, and Big Jon Atkinson to lend a hand. His 17 year old son Johnny debuts as a vocalist as well. 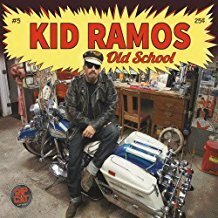 Kid Ramos does not change the blues world or try to get to inventive. Old School is a solid album of music, which should please any aficionado of the blues. You are currently browsing the archives for the Music Reviews: Everything Else category.